K.A.M.I. stands for the Israeli Krav-Magen Association, and is a system of martial arts which teaches students self-defence through natural body movements. As this form of martial arts relies on only natural body capabilities, it is practiced by people of all ages, genders and physical capabilities. K.A.M.I. is based on fast strikes, flexibility and exploitation of the body’s natural weaknesses to provide students with self-defence capabilities instead of offensive ones. As a result of its inclusivity, K.A.M.I. has become one of the most popular forms of martial arts around the world and is spreading quickly throughout. Krav Magen’s head instructor Sergey Baskin recently took part in the annual K.A.M.I. 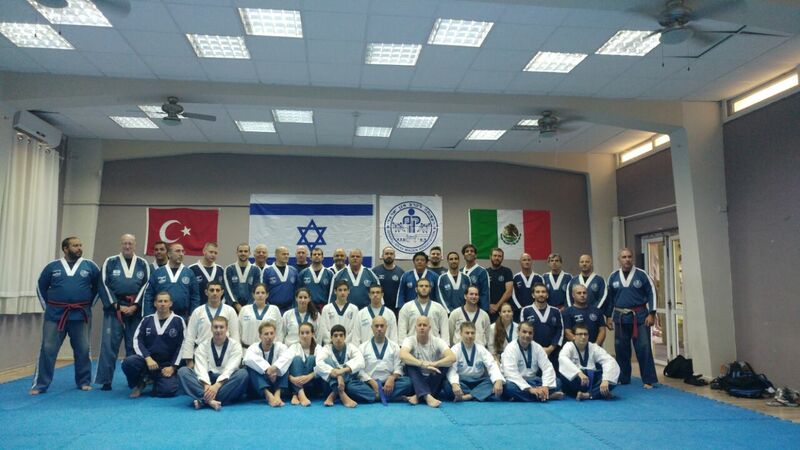 instructor’s course in Israel, which attracts almost a hundred instructors and aspiring instructors of K.A.M.I. from all around the world. Currently, K.A.M.I. is practiced in Italy, Ukraine, Brazil, Turkey, Spain, Canada, The USA among others. Krav-Magen Canada is currently the only officially certified practice in Canada which is true Krav-Maga, with official supervision from the Israeli Association. K.A.M.I. is a defense based technique which focuses on teaching everyday people how to fend off the attack, and feel confident in their own body. We teach you to master your body’s natural reflexes and fighting forms and overcome the fear and paralysis that is known as the flight response. By overcoming your flight response you slowly become more confident in your skills. K.A.M.I. teaches you to feel at ease with yourself and among other people. For this reason, it is used to build confidence and it is a great tool to help children avoid bullying, to allow women relief from the threat of violence. With every lesson, you build muscle as well as confidence. As each lesson is a great workout, K.A.M.I. is the perfect tool to help you restore or gain physical capacity and health. Drop in for a lesson at the only licensed Canadian K.A.M.I. practice today. Your first lesson is always free. As a martial art, K.A.M.I. is taking the world by storm. The head and Chairman of the K.A.M.I. association, Avi Abeeceedon has been active in the organization for almost all his life. Avi’s vision of distributing the fundamentals of K.A.M.I. all around the globe is a reality, as today K.A.M.I. is used by security forces, government forces and military institutions as well as individual people and organizations around the world. K.A.M.I. 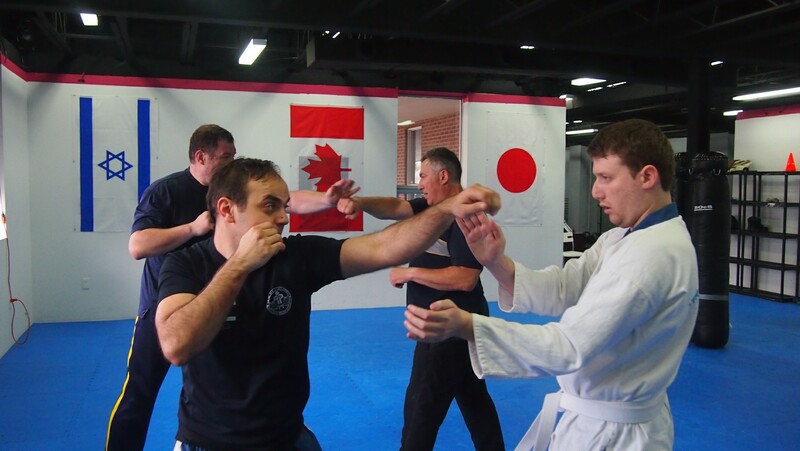 as a self-defence martial art is a unique method of physical defence which differs greatly from other forms of martial arts as well as the more broadly defined “Krav-Maga”. For more information about how our form of Krav-Maga differs from your run of the mill establishment please read the following article. Krav-Magen Canada is the only officially licenced practitioner of K.A.M.I. in Canada. Our practice has over 40 locations throughout Israel and the rest of the world but holds only one in Canada, located in Thornhill at 57 Glen Cameron Road. Our instructor, Sergey Baskin, holds the highest rank in Israeli Krav-Magen and has been teaching for many years. Classes are held bi-weekly and offer you the capacity to learn self-defence, enhance your confidence, build muscle and stamina and above all, protects you from physical harm. Call Mr. Baskin today if you have any questions regarding K.A.M.I or the classes offered at 416-562-0670. For more information, see our website at https://kravmagen.ca.